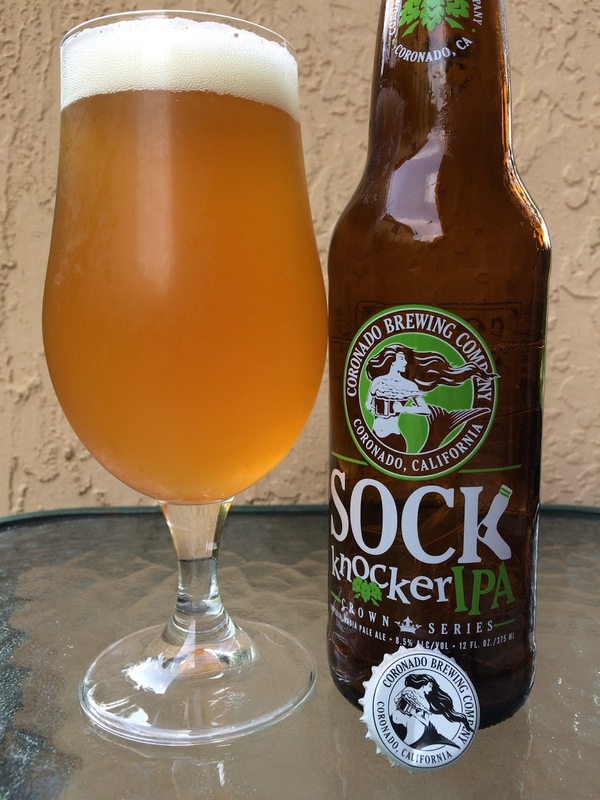 Today I grabbed a Sock Knocker IPA brewed by Coronado Brewing in Coronado, California. 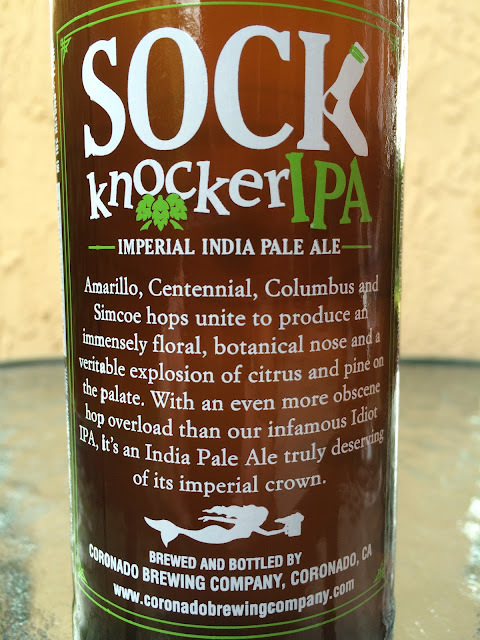 The story on the side of the bottle suggests I expect "a veritable explosion of citrus and pine... with even more hop overload than Idiot IPA." The K in Sock is actually a sock on the label. Crown Series beer. 8.5% alcohol. Beautifully aromatic: tropical orange, honeycombs, apricot jam and a hint of pine. Sweet tropical fruit flavors, orange and apricots, come first. Pine and citrus challenge initial sweetness. Nice flavors and balance. Flavors linger long after each sip. Nice beer!